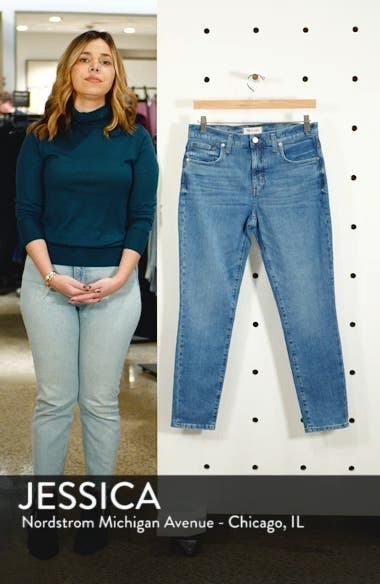 Eco jeans feature organic-cotton denim, sustainably dyed using shrimp shells (a 65% reduction in chemicals and 75% reduction in water over conventional fabric). Choose a sizeTrue to size. 23=000, 24=00, 25=0, 26=2, 27=4, 28=6, 29=8, 30=10, 31=12, 32=14, 33=16, 34=16-18 (14W). High rise.